Want to know which books from yesterday’s new deliveries are already heating up and which ones are cooling? Here’s a “Day After” list that we hope will help! This isn’t a reflection on the quality, collectability or long term potential of recently released books. This is based on today’s market price for books that came out yesterday, Wednesday 12/2/15. They could still be at your shop. 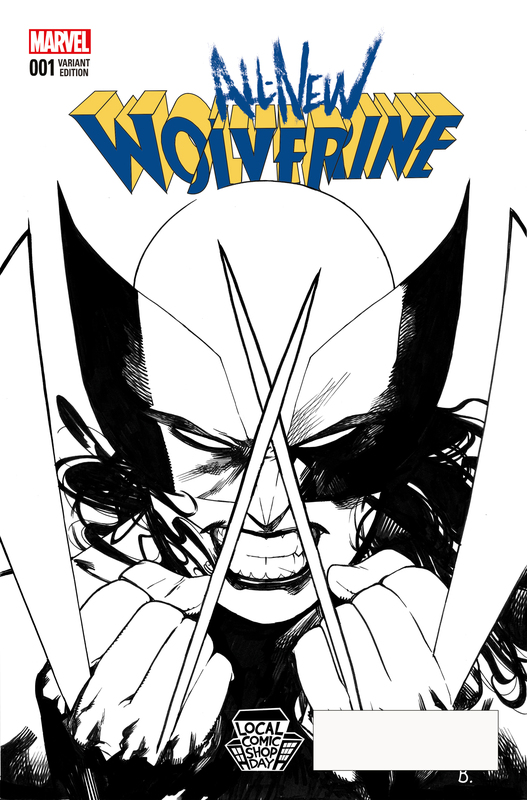 ALL NEW WOLVERINE #1 LCSD SKETCH VARIANT – While this didn’t come out yesterday, it was still one of the hottest (if not THE hottest) book to come out this week. This saw pre-sales at around $200. The market adjusted to about $160 shipped, which is not nearly as bad of a drop that was expected. 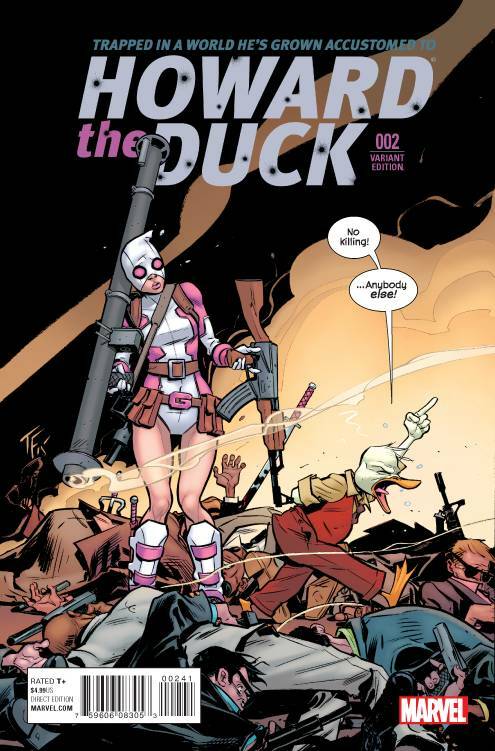 HOWARD THE DUCK #2 FOWLER VARIANT – This is doing about $55 shipped right now. While that’s down from some of the $75+ preorders, $55 is still really good for a 1:25. However, I don’t see this going up. It’ll most likely settle to about $35/$40. SELF STORAGE #2 – This is a perfect example at how fast the market can move. It was an $18 last week and now it’s selling just above cover. Hot to Cold in a week. STRAITJACKET #2 – Last week this was a $17 book and has pretty much maintained that price. Some sales have been lower and some higher. However, there are many copies currently listed. Because of this small flood, prices will begin to drop. 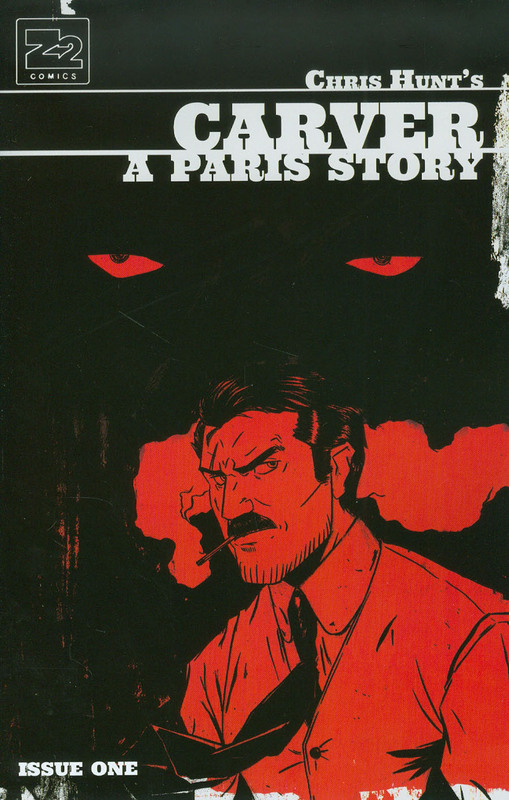 CARVER PARIS STORY #1 (Z2 Comics) – I would pick up a copy IF you can find one. This book is selling well right now. The standard cover is selling for about $9 and the variant is selling between $10 & $15. The Fried Pie variant is doing $20. That’s not a bad start for an unknown publisher & title. Watch this one for the next few days. 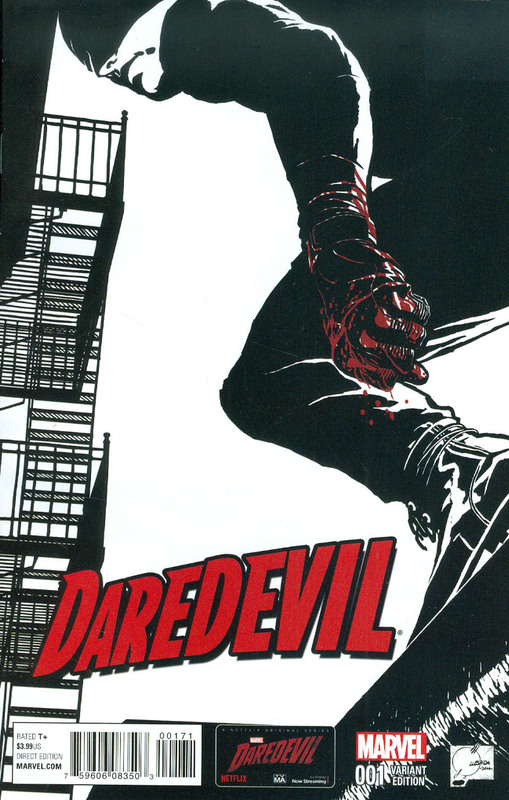 DAREDEVIL #1 QUESADA 1:100 VARIANT – Daredevil 1:100 variants rarely come around. And this cover is awesome. However, it’s selling for about $70 shipped right now. If your shop is selling it for under $50, it could be a good pick-up. My store wanted $120 for their copy. Nope. HARLEYS LITTLE BLACK BOOK #1 – I realize that this cover is awesome and it was highly anticipated. However, even with all the hype and the possibility of getting an original sketch, these aren’t doing anything crazy. Right now, you can buy all three covers for about $18+shipping. At a $4.99 cover price + tax, you’re at breakeven. Only buy these for your PC…. unless you want to buy stacks to sell JUST in order to find one of those original sketches. I don’t recommend doing that. LOCAL COMIC SHOP DAY VARIANTS (other than ALL NEW WOLVERINE) – What happens when most purchase with the intention to sell? The answer is a good old fashioned ebay flood. Prices on the LCSD books are all over the place. Some are selling at double cost. Some are selling at breakeven. However, the Black Mask boxes and “We Can Never Go Home” HC are perfect flood examples. So many copies hit eBay that it surpassed demand. When this flood happened, everyone began undercutting the next, until now where it’s selling for just a little over cover price. What’s even more surprising to me is how there haven’t been any listings with open sets or individual books. Even with the possibility of having signed copies, people are still refraining from opening and would rather list their set and get out. Like all floods, the flood will settle and the prices might go back up. I’m cracking mine open tonight. SUNFLOWER #2 (451 Media) – There have only been a handful of sales. They have all been at $10 or less. Some hopeful sellers currently have copies listed for about $15. Something to keep in mind is the fact that Sunflower #1 is currently selling just above cover and a CGC 9.6 sold for $20. GRADUATE #1 – Hardly any copies listed or sold. INK BRICK #1 – There is currently 1 copy for sale on eBay. None have sold previously. INVINCIBLE IRON MAN #4 – Normally, I don’t put non #1 issues on here, unless it’s noteworthy. However, I wanted to point out the 1:25 Putri Variant. It’s a fun cover. Even the standard is well done. KODOJA #1 – 215 ink, the folks that brought us Enormous. There’s nothing going on with this right now, despite some slightly over cover sales yesterday. SPIDEY #1 – Hip Hop cover is doing decently though. TOTALLY AWESOME HULK #1 – All covers are moving at “in-store” variant pricing (meaning both of the 1:25’s are doing about $15 shipped). X’ED #1 – Selling at cover or less. You put in some good work each week brother! Picked up the 3 Harley LBB covers, and also the Ironman #4 Yesteryear Mayhew variant. I love that cover! One of my favorite recurring columns on here. Great stuff Matt! Excellent info as usual Matt! Great article Matt. But how about a 2 days after Wednesday article? You know, like 7 minute abs. No! No, no, not 7! Nobody’s comin’ up with 7. Who works out in 7 minutes? Nice. This is a nice quick catch up when I don’t have time to research myself, thanks Matt! Would love an article on LCSD books by themselves. Print runs and such, since it was the first annual and all. Thanks!